A common cold, also known as acute coryza, is an inflammation of the upper respiratory tract caused by infection with common cold viruses. A common cold occurs more often than any other disease - hence, its name. A person may suffer from a common fold several times in a year. A cold usually lasts from three to ten days. The patient feels miserable for the first three days or so. A common cold is not really a serious illness, but it may not always seem harmless because of the extent of discomfort that it can cause. A common cold is caused by a variety of viral infections and it is the most common of all infections that we suffer from and accordingly is the most treated condition. Pharmaceutical products for common cold treatment are probably the highest selling of all drugs. Common cold remedies are highly sought after because natural treatments are preferable to pharmaceutical ones when it comes to dealing with common ailments that strike frequently or repeatedly. This is because most natural common cold remedies for common cold relief will not cause any adverse reactions as compared to prolonged or frequent usage of medications and drugs, no matter how mild they may be. Moreover antibiotics offer no relief against a common cold as common colds are caused by a variety of viruses and antibiotics can only work against bacterial infections. The use of antibiotics in such situations simply weakens your natural immunity, creates bacterial resistance and destroys healthy bacteria, leaving you a lot more exposed to a host of other infections. Home remedies for common colds are among the most popular and effective of all natural treatments, during pregnancy and for infants and kids, and in most cases would suffice to provide some swift common cold relief. While herbal cold remedies during pregnancy for pregnant women may be effective it is not advisable to try self medication with herbs, because many of them contain toxins that could cause adverse reactions on the pregnancy. Herbs have long been used as a valuable resource and there is a vast amount of knowledge from ancient texts and also from modern research into ancient civilizations and cultures. The use of medicinal herbs to treat a variety of illnesses is part of our shared culture, with civilizations across the world having relied on them for millennia, from the Ancient Indians, the Egyptians, Chinese and Mesopotamian civilizations to the Greek, Macedonian, European and also Mayan, Aztec and African civilizations. The efficacy of herbal remedies has been widely established, with modern research lending authenticity and validity to many ancient treatments. Herbs are however very potent ingredients and inappropriate or careless administration of some such herbs can result in serious ill effects and even fatalities. For this reason it is best to exercise caution when attempting to use any herbal cough remedies, sore throat remedies, flu remedies, stuffy nose remedies and fever remedies. Rather than attempt self medication, seek advice from a qualified and experienced herbalist. Keep in mind that it would be best to avoid using any herbal cold remedies for children, toddlers, babies and while pregnant or breastfeeding. There plenty of other safer natural cold remedies that work that you could try using in such situations. It should also be pointed out that in the case of common colds in infants, babies, toddlers, and children and in particular pregnant women, natural common cold remedies are highly preferable because of possible drug interactions. Common cold treatment with home remedies should be practiced carefully when dealing smaller children, infants and babies. Also effective care should be taken as there is a higher risk of complications developing from the symptoms and small children may not have the same tolerance levels to natural ingredients as adults do. A common cold will cause a runny nose, sore throat, coughs and congestion typically, but at times it may also cause sneezing, watering of the eyes and headaches. As mentioned above the common cold is caused by a virus that affects the upper respiratory tract, including the nasal passages, the voice box, the throat, windpipes, and lungs. The reason for the widespread and frequent occurrences of the common cold is attributed to the fact that there are over two hundred viruses that can cause the common cold. These viruses that can cause the common cold are generally referred to as rhinoviruses. These viruses are contagious and are known to cause inflammation of the airways and the lining of these passages. Because of the astoundingly high number of common cold viruses that can cause the illness the signs, symptoms cures and treatment of common cold infections can vary significantly and can also occur frequently, as it is impossible for your body to develop immunity against all the viruses. As your body develops an immunity to one of the viruses you will probably stumble upon another virus against which you have no immunity. Over the counter cold remedies are not always effective but they may help to reduce the cold duration. A common cold can affect absolutely anyone and there are no specific groups that are at higher risk of developing common colds. Immunity levels however have a lot do with susceptibility, which is why preschoolers are a lot more likely to experience frequent bouts of the common cold. Likewise adults with a weakened immunity, whether naturally weak or because of an unhealthy lifestyle and medications, are also highly susceptible to frequent common cold infections. Individuals who suffer from conditions that weaken immunity like HIV are at a high risk of suffering recurrent common colds. Under normal circumstances though, even a healthy adult could expect to experience a few cases of the common cold a year. Common cold treatment is usually not necessary as it is a viral infection and the symptoms will resolve naturally within a week or two. Treatment is typically directed towards common cold relief and could include over the counter medications like oral medications and decongestants or nasal drops and inhalers, or with natural common cold remedies and self care methods. If the symptoms do not improve within a week or two or start to worsen then it would be wise to visit a doctor for a proper diagnosis and treatment as the cause of the symptoms may be a more serious respiratory infection. The initial signs of a cold are a feeling of soreness of the throat and congestion of the nasal passages. 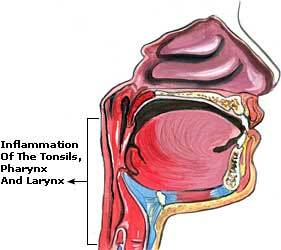 Although the disease normally begins in the nose and throat, it affects all parts of the body. Its usual symptoms are a running nose, sneezing, a rise in temperature, headache, sore throat, chill, aches and pains in the body, and loss of appetite. The skin around the nostrils may become sore. The common cold is highly contagious but those with a strong immunity have some protection against most outbreaks. This said, no matter how healthy you might be, you are likely to suffer a common cold from time to time. Generally the symptoms of a common cold infection appear within a day or two after exposure to the virus. The symptoms of a common cold although not serious can be extremely discomforting and cause secondary symptoms like fatigue and also a low grade fever as you body’s natural immunity struggles to fight off the infection. A high fever is unlikely to develop and if this does occur you probably suffer from flu like infection and should seek medical treatment. If your common cold or nasal congestion is accompanied by sweating and chills or a cough with colored phlegm, or if you experience a high fever, swelling of the glands and sinus pain then it would be advisable to visit your doctor for medical advice. Signs and symptoms of a common cold in infants, children, toddlers, and babies generally tend to be more severe and can often cause complications like ear infections as well. Under normal circumstance your child would not need medical treatment, but if the cold affects a baby or children under the age of 2 it would be advisable to seek medical help. Signs of dehydration, decreased urination, reduced fluid intake, loss of appetite and abdominal pain or sleeplessness and breathing difficulty in children should also be treated very seriously. A common cold results from exposure to the virus. Its intensity, however, depends upon the state of health of the person and environmental factors. Low vitality, exposure to cold, lack of sleep, mental depression, fatigue, and factors such as sudden changes in temperature, dust, and other irritating inhalations are important contributory causes. Although you may have heard that common colds are passed on through airborne droplets there is actually a much higher chance of infection through direct contact with an infected individual as objects that are in physical contact can be contaminated with the virus. For example, in an office there is a much higher chance of you catching the infection from using the keyboard of an infected person even when that individual is not around as opposed to simply sitting in the same room. The odds of picking up the common cold are also determined by other factors such as climatic conditions, weather changes, or your age and immunity levels. Lemon is the most important among the many home remedies for common cold. It is beneficial in all types of cold with fever. Vitamin C-rich lemon juice increases body resistance, decreases toxicity and reduces the duration of the illness. One lemon should be diluted in a glass of warm water, and a teaspoon of honey should be added to it. This should be taken once or twice daily. Garlic soup is an old remedy to reduce the severity of a cold, and should be taken once daily. The soup can be prepared by boiling three or four cloves of chopped garlic in a cup of water. Garlic contains antiseptic and antispasmodic properties, besides several other medicinal virtues. The oil contained in this vegetable helps to open up the respiratory passages. In soup form, it flushes out all toxins from the system and thus helps bring down fever. Five drops of garlic oil combined with a teaspoon of onion juice, and diluted in a cup of water, should be drunk two to three times a day. This has also been found to be very effective in the treatment of common cold. Ginger is another excellent remedy for colds and coughs. About ten grams of ginger should be cut into small pieces and boiled in a cup of water. It should then be strained and half a teaspoon of sugar added to it. This decoction should be drunk when hot. Ginger tea, prepared by adding a few pieces of ginger into boiled water before adding the tea leaves, is also an effective remedy for colds and for fevers resulting from cold. It may be taken twice daily. The roots of the bitter gourd plant are used in folk medicine to cure a cold. A teaspoon of the root paste, mixed with an equal quantity of honey or holy basil leaf juice, given once every night for a month, acts as an excellent medicine for colds. Turmeric is an effective remedy for colds and throat irritations. Half a teaspoon of fresh turmeric powder mixed in 30 ml of warm milk, and taken once or twice daily, is a useful prescription for these conditions. Turmeric powder should be put into a hot ladle. Milk should then be poured in it and boiled over a slow fire. This mixture should then be drunk by the patient. In case of a running cold, smoke from the burning turmeric should be inhaled. It will increase the discharge from the nose and provide quick relief. Tamarind-pepper rasam is also considered an effective home remedy for a cold in South India. Dilute 50 mg tamarind in 250 ml of water. Boil the diluted tamarind water for a few minutes with a teaspoon of hot clarified butter and half a teaspoon of black pepper powder. This steaming hot rasam has a flushing effect, and should be taken three times a day. As one takes it, the nose and eyes water and the nasal blockage is cleared. Regular intake of vitamin C-75 mg for adults and 35 mg for children-will prevent the common cold. If, however, a cold has already appeared, large doses of this vitamin will relieve the symptoms and shorten its duration. He estimates that one to two grams (1000 mg to 2000 mg) per day is approximately the optimum amount of this vitamin for this purpose. His advice is to swallow one or two 500mg tablets of vitamin C at the appearance of the first sign of the cold and continue the treatment by taking one to two 500 mg tablets daily. Inhale turmeric fumes, for this tie some turmeric in a clean cloth and light it. Boil some water and allow it to cool, now add ¼ teaspoon table salt to it. Put 2 to 3 drops of this solution in your both the nostrils before meals and going to bed. Mix natural apple cider vinegar and water in equal parts. Boil this solution in a pan, when the fumes rises lean over the pan and inhale the fumes. Prepare a solution using 4 drops of Lavender Essential Oil and Pine Essential Oil, 3 drops of Peppermint Essential Oil and 7 drops of Eucalyptus Essential Oil. Inhale vapors of this solution by putting it on a cotton ball or an aromatherapy diffuser. After the acute symptoms are over, the patient can gradually embark upon a well-balanced diet, consisting of seeds, nuts, grains, vegetables, and fruits. It is advisable to avoid meat, fish, eggs, cheese, and starchy foods. Other useful measures in the treatment of a common cold are a mild sunbath, fresh air and deep breathing, brisk walks, sound sleep, and adjustment of one's clothes and habits to the requirements of the season so as to nullify the effect of weather fluctuations.